Dr. Boucai accepts the following list of insurance providers. Select your insurance provider to see more details. I am a board-certified endocrinologist and internist with particular interest in thyroid cancer. As part of an outstanding team of surgeons, radiologists, pathologists, and nuclear medicine specialists, I work to improve and advance the care of patients with this condition. I completed my internship and residency at the NewYork-Presbyterian Hospital/Weill Cornell Medical Center, and I was a fellow in Endocrinology and Metabolism at the Albert Einstein College of Medicine/Montefiore Medical Center. 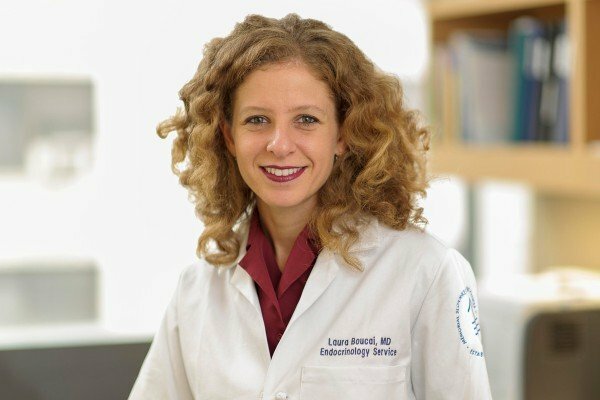 As part of my academic career, I spent four years as a faculty member at Albert Einstein College of Medicine, and I am currently an Assistant Professor of Medicine at Weill Cornell Medical College. Devoting time to educating new generations of endocrinologists only reaffirms my passion for the field. I am an active member of The Endocrine Society, the American Diabetes Association, and the American Thyroid Association. My research interests are focused on achieving a better understanding of the pathogenesis of thyroid cancer. I am committed to working in close collaboration with basic scientists with the goal of identifying new therapies for this condition. Visit PubMed for a full listing of Dr. Boucai’s journal articles. Pubmed is an online index of research papers and other articles from the US National Library of Medicine and the National Institutes of Health.